Chicago Spurs did London. 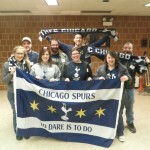 In April 2015, members of Chicago Spurs visited London to sight-see, visit friends/family and attend a game at the magical White Hart Lane. 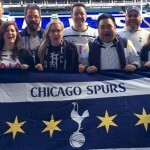 Chicago Spurs were invited by Tottenham Hotspur to a pre-game tour and a post game legends night organized by the magnificent Sweden Spurs. Here are some pics….